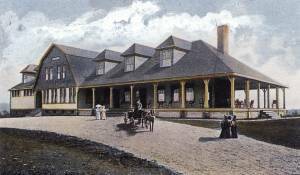 Berks County got what was probably its first exposure to golf at Berkshire Country Club, incorporated in April, 1899. 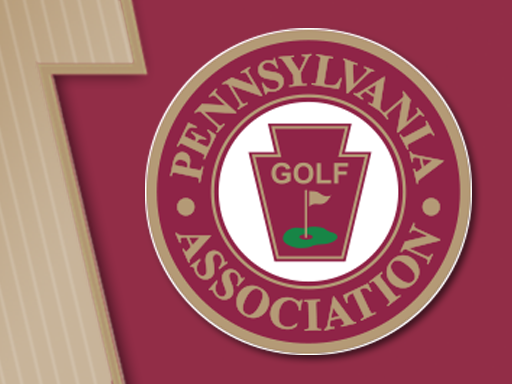 Its clubhouse and a six-hole course were established on the west side of Wyomissing Boulevard, in Wyomissing. Wilson Ferguson, Herbert R. Green and William Keiper Stevens were the three founding members who signed the papers of incorporation. They were also chosen for the first board of directors. The other eight directors were George J. Baer, John M. Archer, G. Howard Bright, William Seyfort, Edward L. Parvin, M. Brayton McKnight, Frank L. Smink and J. Lancaster Repplier. In May 1902, the club left Wyomissing and bought 59 acres in Bern Township, just north of Reading. Here a clubhouse and a nine-hole course were built. Additional land acquisitions were made in 1916, 1921, and 1928, which gave the club a total of 125 acres and the opportunity to expand the course to 18 holes. Golf at Berkshire is the legacy of Willie Park, Jr., a Scot from Musselburgh (outside Edinburgh) and one of the game’s towering figures between 1880 and 1925. He won the British Open in 1887 and 1889 and finished second in 1898. A man of parts, he was also an entrepreneur, businessman, clubmaker, inventor, and author (The Game of Golf and The Art of Putting). He joined his father in the club- and ball-making firm of W. Park and Son, teamed up with him to lay out courses in Scotland and England, then went out on his own. After several short visits to the United States around the turn of the century, he came over in 1916 for an extended period. Indefatigable and a perfectionist, he designed some 40 courses in 17 states and 20 more in five Canadian provinces. Knowingly or not, Philadelphians have long been playing several Willie Park, Jr., courses, including Philmont’s delightful South course, which he laid out in 1907, Greate Bay (formerly known as the Sands Country Club), and, of course, his engaging eighteen at the Berkshire. A par 71 measuring 6,061 yards from the regular tees, the course here is marked by a relative scarcity of doglegs (this is a small tract of land and does not readily lend itself to either gently curving or boldly swinging fairways) and greens of average size defended by much more than an average measure of sand. Iron play must be accurate. Trees—splendid old hardwoods, evergreens, some blossoming fruit specimens—also play a major role, both in beautifying the course and defining the line of play. Berkshire is replete with the charm of classic parkland golf. Some 50 years after its formation, the club would find itself in 1947, 1948, and 1950 hosting the world’s best players in the Reading Open. Ben Hogan, Sam Snead, Bobby Locke, Dutch Harrison, and Fred Haas, Jr., played starring roles on these occasions.